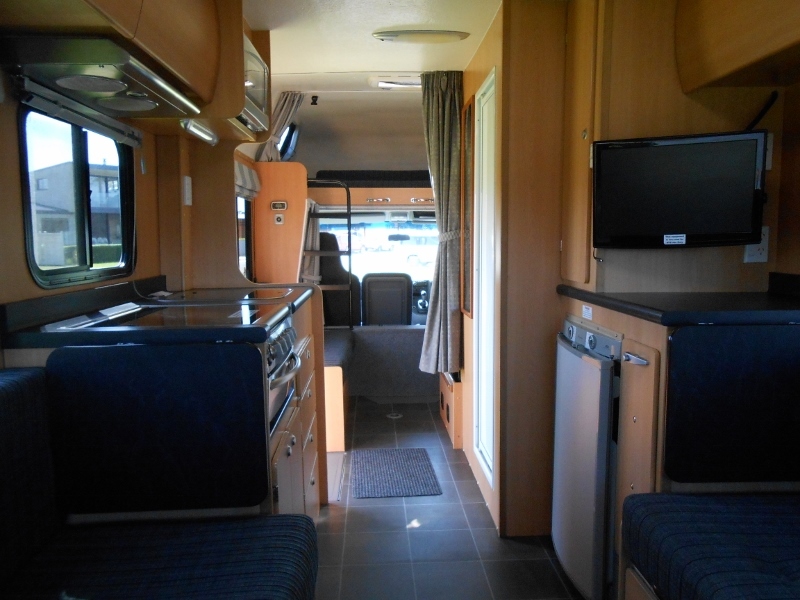 Our spacious and beautifully appointed 6 berth Motorhomes provide you with extra comforts as you travel. 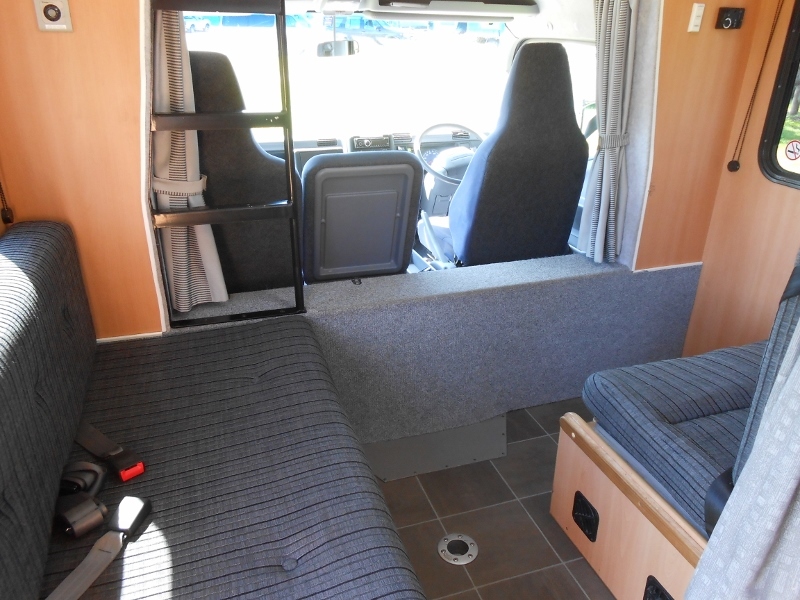 With contemporary interiors and clever storage designs, the 6 berth features 1 king size bed and 2 double beds: one is located above the cab and one is situated in the centre behind the driver’s seat. 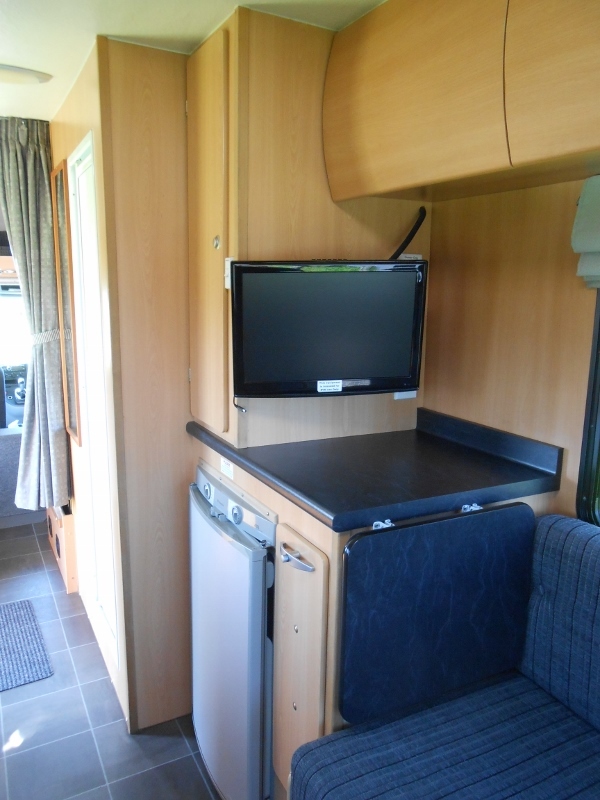 The king size bed at the rear of the motorhome can also be made into 2 single beds. A safety net on the upper bed ensures the younger ones sleep securely. 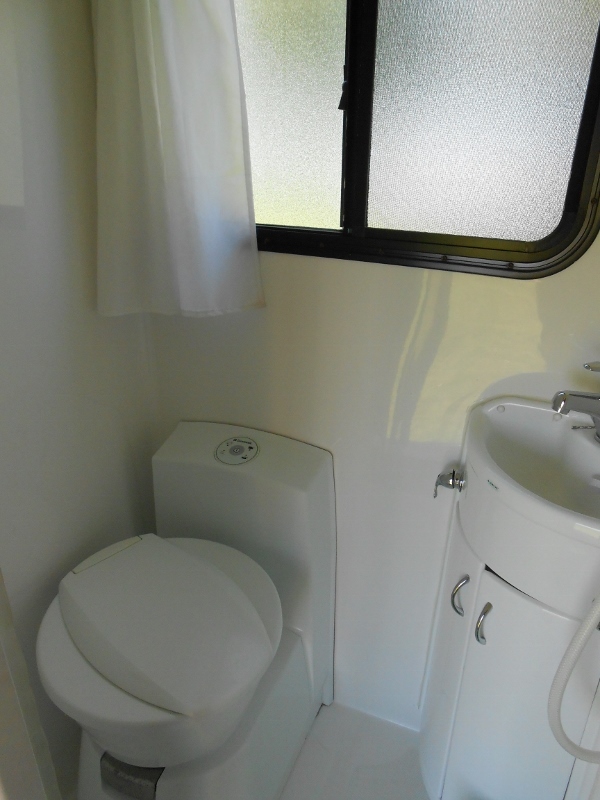 This fully self-contained motorhome has a shower and toilet, hot & cold running water, gas cooking facilities including oven (some models), range hood, fridge and microwave. It is also equipped with a central heating system to keep you warm in winter. There’s room for everyone to sit comfortably in the rear lounge area and watch their favourite movie on the DVD player. The large tinted windows provide great views and this vehicle is fitted with seven seatbelts with tether points for child seats. There are three seats across the front cab. 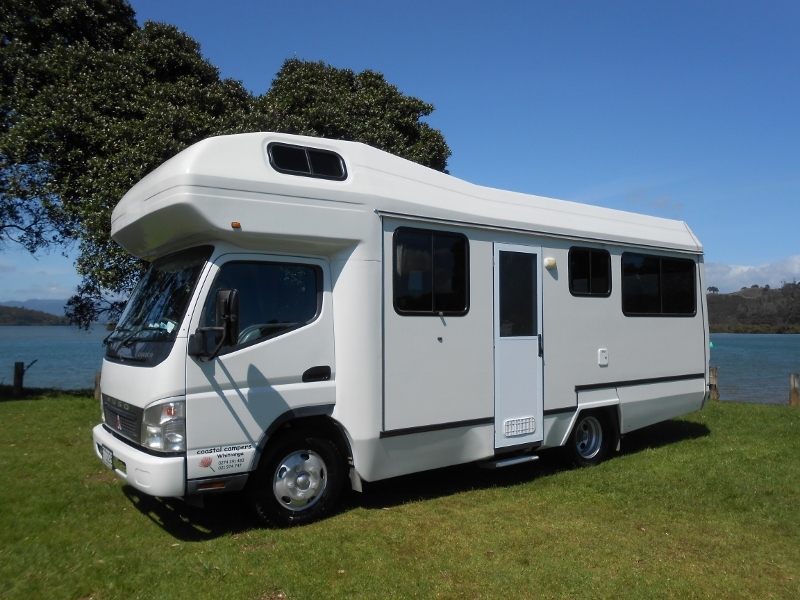 Our modern 6 berth motorhomes are NZ built for NZ conditions, are regularly serviced and maintained as well as cleaned & sanitised between rentals. No special license is required to drive and they are easy to operate. - Baby / Booster seat: 3 diagonals and 3 lap belts available per rental. The 3 diagonals can take 3 booster or 3 child or 3 baby seats. The lap belts can take 3 child or 3 baby seats. One diagonal and 1 lap belt are located in the front with the driver. The remaining belts are in the rear cabin. -Baby/Booster seat: 1 diagonal and 5 lap belts available per rental. The 1 diagonal can take 1 booster or 1 child or 1 baby seat. The lap belts can take 5 child or 5 baby seats. One diagonal and 1 lap belt are located in the front with the driver. The remaining belts are in the rear cabin. - Fresh Water Tank: 95 litres. 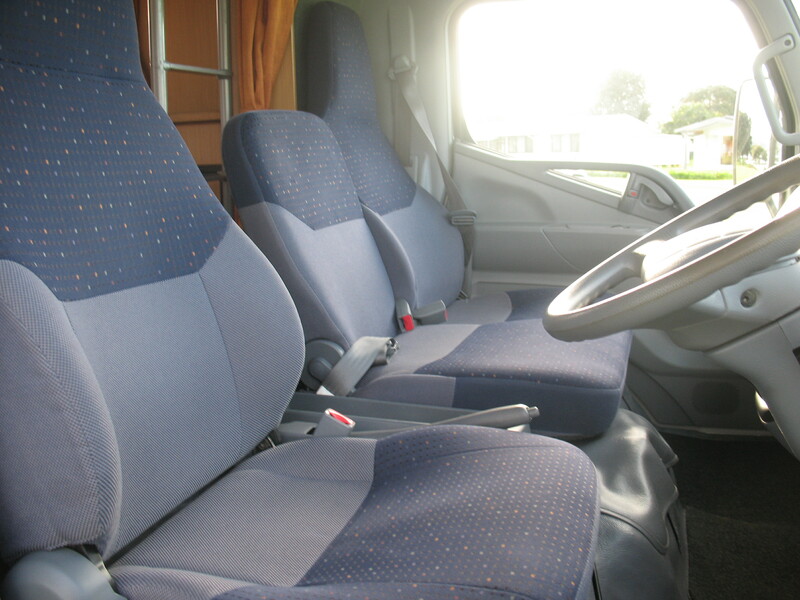 Tauranga Airport is a serviced non depot location. Thames is a serviced non depot location.